I think I have always been a Historical Fiction fan. Something about reading about other cultures and times just fascinates me. My first favorite books were The Little House on The Prairie series, and I can still remember picking up my first James Michner. Over the years I have read quite a few HF novels, but the ones about the 14th - 16th century kings and queens are near and dear to my heart. So imagine my joy when I found a new author to devour. That author is C.W. Gortner and the book that introduced me to him is The Confessions of Catherine de Medici. This book enchanted and enthralled me. From the beginning, when Catherine said, "I was ten years old when I discovered I might be a witch." I was hooked. I have to admit, I was not as familiar with Catherine and the French Court as I am with the English Court, so I wasn't sure what to expect. What I found was that they could hold their own when it came to intrigue, politics, backstabbing, romantic liasons, in short, everything that makes the royal courts so much fun to read about. The excellent story telling in the book brought Catherine and the French Court alive for me. 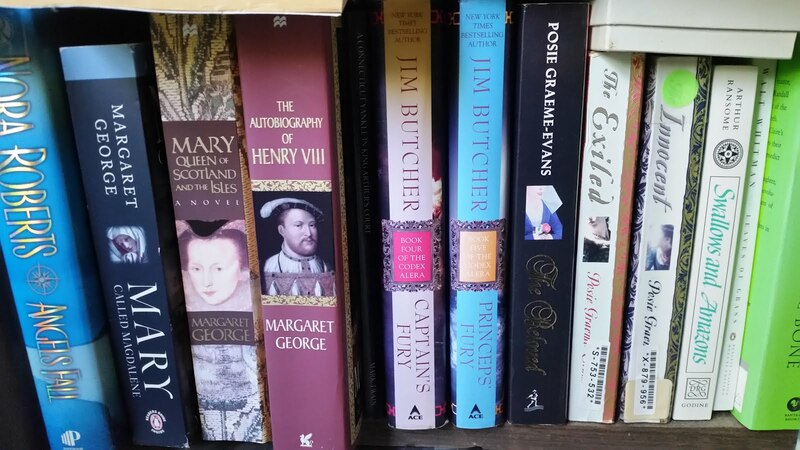 Being a Tudor aficionado, there were a couple of things that really peaked my interest in the book. Although it did not play a major role, it was quite interesting to see the view of Henry VIII and his court from another perspective. I was also reminded that religious persecution and upheaval was not simply an English phenomena, but in fact was prevalent throughout Europe during that time. In France it was the Catholics vs. the Huguenot followers of Calvin. In that respect, here was one character who I found particularly interesting. Although he was a minor character in actual history, Mr. Gortner gave Gaspard de Coligny a major role in his book. Some may be dismayed at this as it is not historically accurate, but I thought that using a single character was a great way to consolidate all the issues raised by the Huguenots without confusing the reader with a multitude of names. To that end, I am willing yield to Mr. Gorner's creative license in this respect. In the end, I will just say that, as good Historical Fiction should, Confessions made me want to read more about Catherine and her children, especially Margot and Henri. Mr. Gortner is a great storyteller, and I am looking forward to reading his other book, and eagerly await his new books. I am glad to have another favorite author in this genre.